Electronic Security Safe secures most laptops and other valuables from theft. Features electronic lock with override key and two live-locking bolts, removable shelf, carpeted floor, concealed hinges and armored steel construction for a formidable deterrent against theft and loss. Security cable offers access for a power cord and allows safe to be tethered for security. 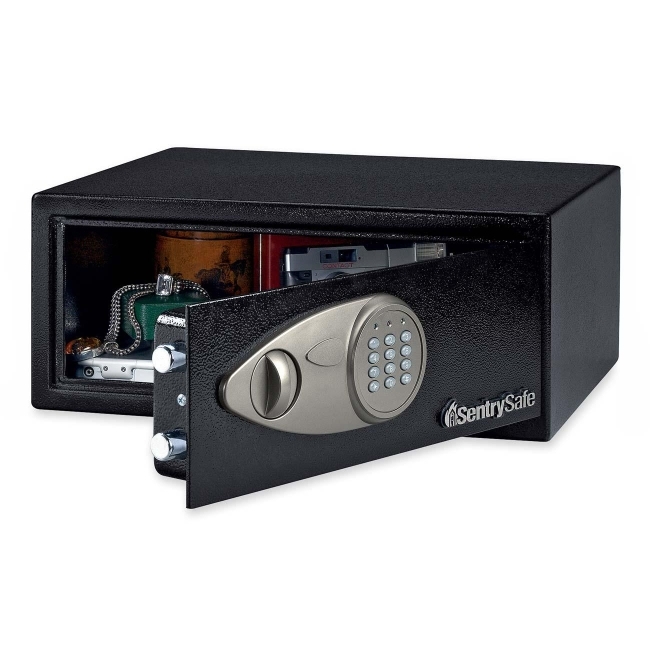 Safe includes bolt-down hardware for added security.